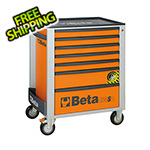 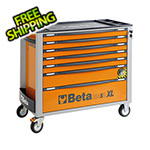 The SuperTank rolling tool cabinet / workstation from Beta Tools features ten locking drawers on ball-bearing slides uniquely designed on the front and side of the cabinet itself. 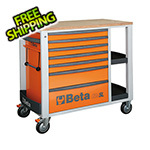 Additional storage is offered via a large door compartment on the back and 6 bottle shelves all around the unit. 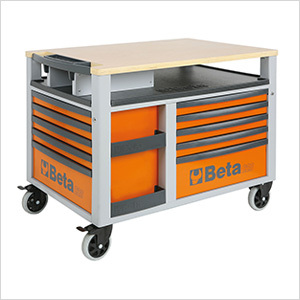 The large high-end finished plywood worktop provides a sturdy work surface for any project.